It was in the golden age for bodybuilding that Arnold ruled the roost. He won the Mr. Olympia competition on seven occasions and is widely regarded as one of the best bodybuilders to have ever lived. Nowadays, the race for mass is what dominates elite bodybuilding, but in Arnold’s day there was a greater focus on aesthetics and overall symmetry. This is a look that many people want to follow for themselves. One of the biggest reasons why he dominated for so long was down to his diet. This allowed him to train to a great intensity on a prolonged basis, while also allowing him to recover between sessions and cut down for competitions. Many of the modern bodybuilding diets can be very complex and hard to follow. 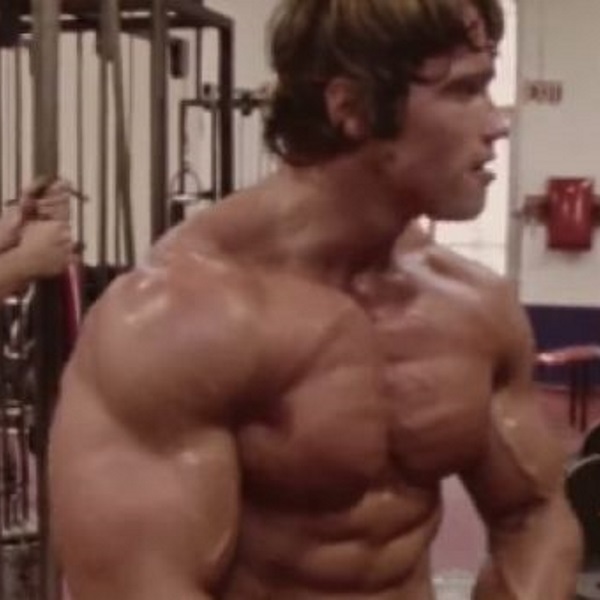 However, Arnold’s diet was very straightforward and still managed to yield amazing results. He would eat 5-6 small meals per day. Most of the nutrition he got was from whole foods, doing his best to cut out processed foods and any refined sugars. By consuming so many meals during the day, this allowed him to keep his metabolic rate at a high level and the smaller meals means that he could use his energy more efficiently when doing his training. He would consume between 4-5,000 calories daily in order to keep his size on. When it comes to building muscle and maintaining it, protein is by far the most important. Arnold would recommend people to hit 1 gram of protein per pound of bodyweight. He would get the majority of his protein form meat, eggs, chicken and fish, all lean cuts. Arnold would usually consume between 30-50 grams of protein every three hours to keep his stores topped up. In addition to whole food sources, he would take tow protein shakes on a daily basis with milk to hit his daily requirement of 250 grams of protein. Nowadays, most bodybuilders consume diets that ar every low in fat, but during Arnold’s days it was a vital component of bodybuilding diets. While he would not eat a whole lot, most of his fat would come from eggs, fish, nuts and dairy, even eating his egg yolks. The Omega 3 fatty acids found in these types of foods would help accelerate the fat burning process and saturated fats are useful for testosterone production. It is said that Arnold would consume between 10-15% of his daily calories in the form of fat. A lot of people think that carbs are evil. If you consume the right ones, they will be your best friend. He would consume good carbs form sources such as oats and brown rice. When he got closer to his competition, he would restrict his carbs. This was important for ensuring that Arnold maximized his gains. It was important to make the most of his anabolic period when he had a strong workout. Arnold would make sure that he got enough protein and carbs into him within 30 minutes of his workout ending.